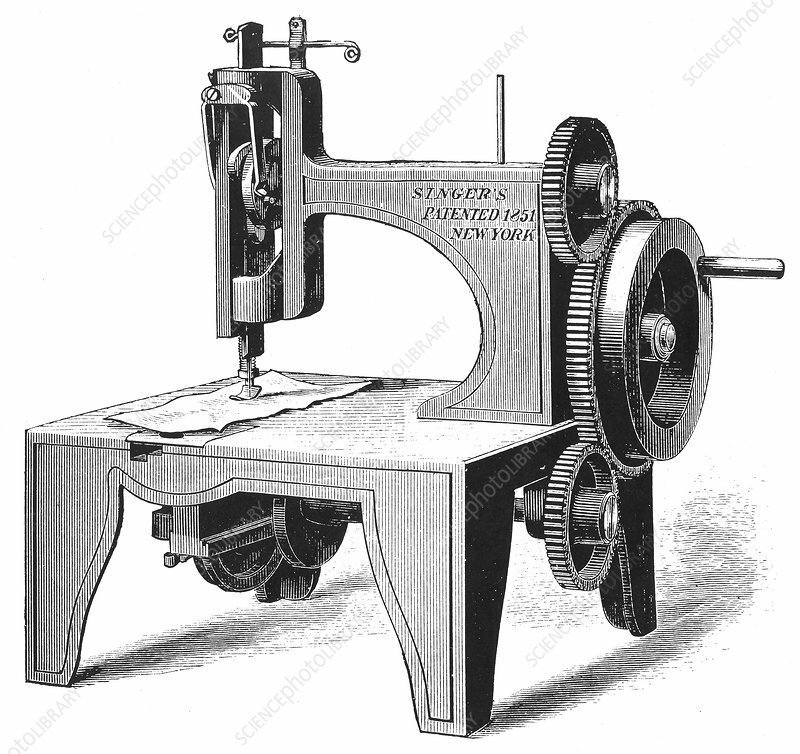 Isaac Merrit Singer's first sewing machine, patented in 1851 (1880). From Genius Rewarded or the Story of the Sewing Machine. York, 1880).